Okay, so the video visual quality is not awesome. But even before I saw it, the title had me giggling. I mean “A Slug using a Running Wheel”? Come On! 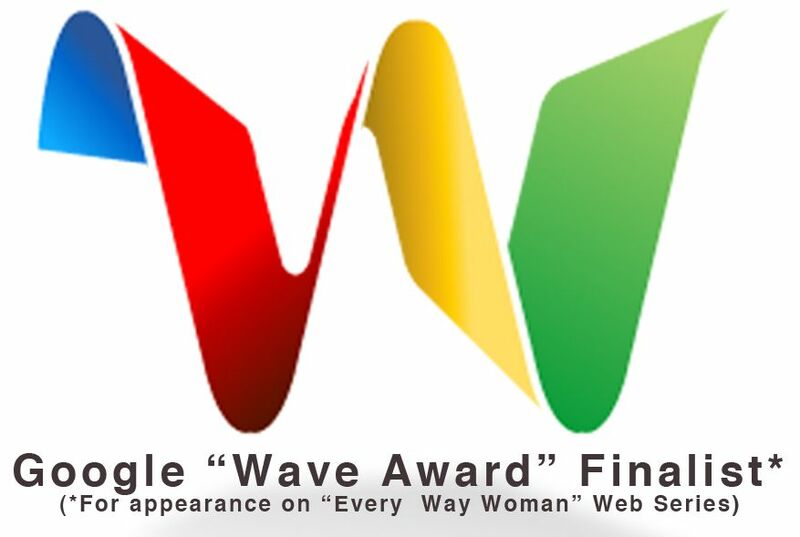 When I watched it, I laughed until tears came. Because you know what? That slug is not really worried about whether or not he is defying my expectations for fitness. He’s not worried about what sort of gym clothes he should be wearing or where he will place in the all animal 5 meter sprint. He’s just going about his business doing his thing. He’s just cruisin’ along. And in doing my research for this blog post (by which I mean tootling around on Google this morning) I’ve learned that the humble slug is actually an athletic mascot! Yes! Ladies and gentlemen, I give you The Fighting Banana Slugs of U.C. Santa Cruz! Seriously. 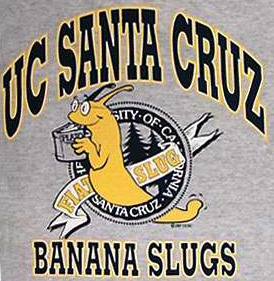 I want to go back to school for the express purpose of an Alma Mater with fighting Banana Slugs for a mascot. For. Realz. Classic! I love corgis and have a sweet corgi/chow chow mix at home. (We’ve affectionately named him a chorgi!) And I love this video. While there is no question that this dog is out of contention for Olympic medals in high or even very low dive, there is also no question this dog is having a blast. He’s not covered in existential angst. 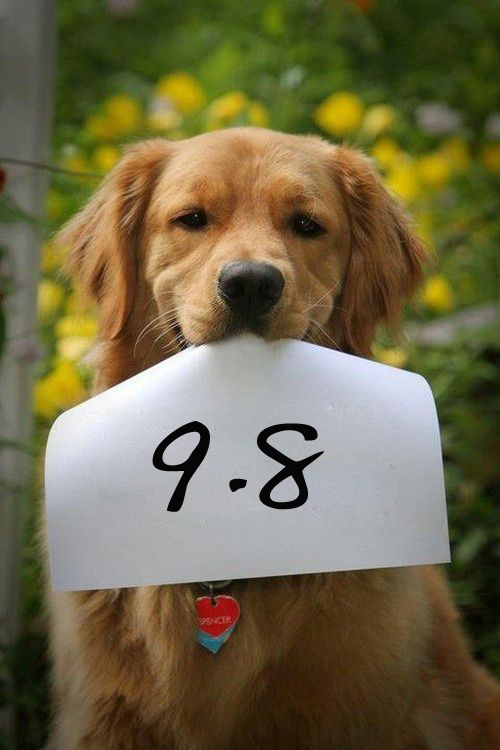 He’s not worried whether the springer spaniel down the street is going to look better than him or make fun of him. This little corgi is just having a blast and doing his thing! And all of this has made me wonder. Maybe we need some animal fitspiration in our lives. Maybe instead of looking at photos of perfectly tan, hairless, glistening human bodies presumably in the process of working out, we should just watch some dogs and cats and chickens and dolphins frolicking, playing and having a great time. Because when I’m looking for fitspiration, that’s what I want–examples of pure, unselfconscious, unadulterated fun! What do you think? Send me some links of some of your favorite inspirational exercising animals. This entry was posted in Uncategorized and tagged animal, Banana Slug, cats, corgi flop, corgis, dogs, exercise joy, fitspiration, love, mascot, running, slug, slugwear, UC Santa Cruz, unselfconscious, wheel on June 23, 2014 by fatchicksings. Okay this is epic and full of win! I love watching animals having fun. They certainly seem to enjoy movement in a natural way much more easily than we adult humans do! Oh, wait. The Corgi video is there now. I’m so confused!